In the battle of the boot camps, our fitness and wellbeing client NuBeginnings started 2010 with a rave review in Marie Claire. NuBeginnings is the UK’s only five star wellbeing retreat which promises to help you lose weight by changing your relationship to food. 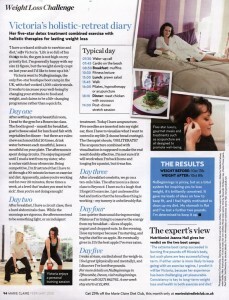 Marie Claire’s critic lost five pounds during five days of pilates, country hikes, accupunture and morish museli. She left feeling refreshed and motivated to keep her pot belly at bay.